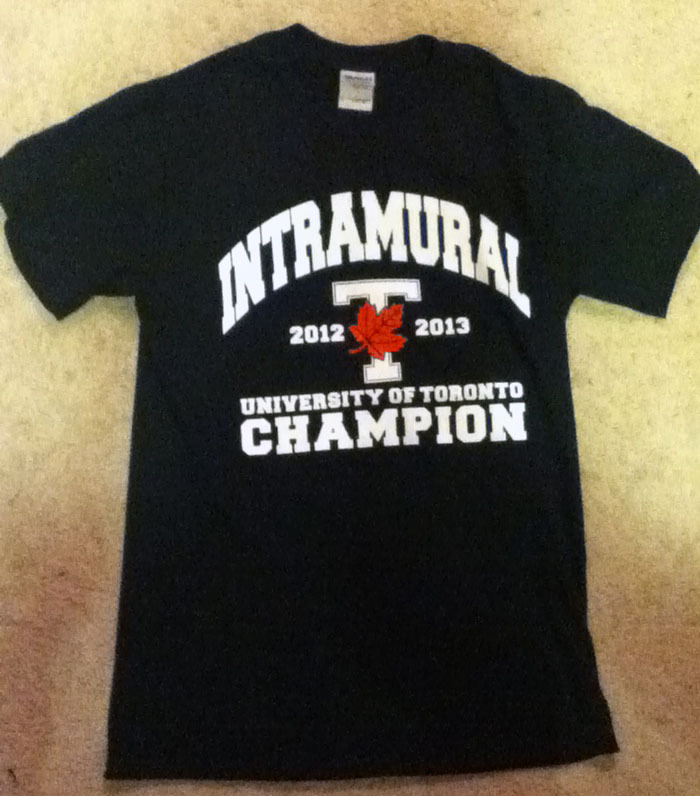 My last UTSC soccer game and I not only scored twice, but my team won the CHAMPIONSHIPS! It’s an unreal, bittersweet feeling. The game ended with the final score of 3-1. We played against our rivals UTM and throughout the entire game I couldn’t stop pacing. 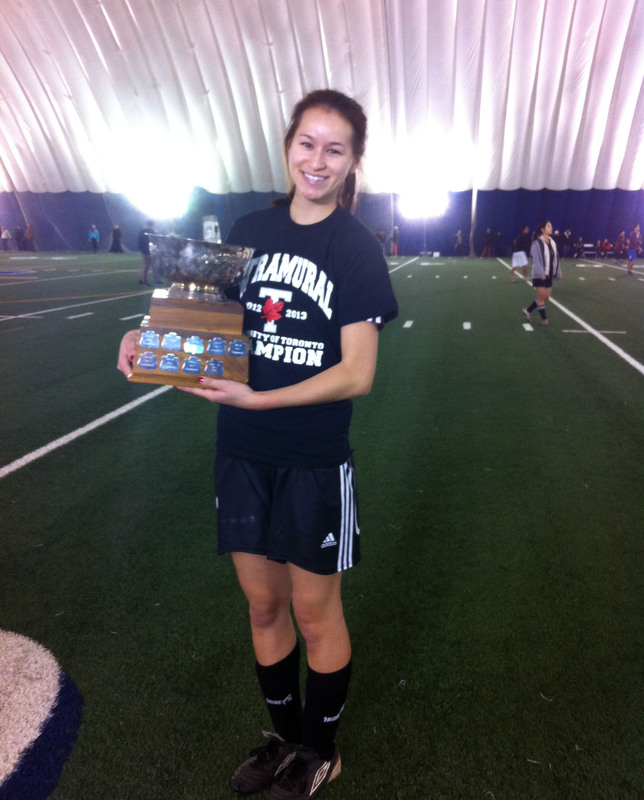 My adrenaline was rushing, heart was pumping, and palms were sweating because I didn’t want my last soccer game at UTSC to be a disappointment. During the game, there seemed to be an abundance of pushing, shoving, fouls, penalty kicks, and a few curse words being thrown every now and again. Even though my body was aching from an all-day hockey tournament the day before, I was determined to not leave the field until I was wheezing and on the verge of fainting. We go hard in Scarborough. If this team has taught me anything throughout the past four years, it’s determination, tenacity, and knowing you’re never alone – on or off the field. I can’t even begin to explain the friendships I’ve developed on this team. Whether these girls calmed me down on the field, gave encouragement, or had a laugh about our boy problems at practice, they always had my back. I remember in my second year I was incredibly nervous attending tryouts. I didn’t know if I was good enough or if I’d get along with any of the girls. When I found out I made the squad, I never would have imagined the impact it would make on my university experience. I have so many great memories from being in this team. Everything from 7 a.m. practices, getting chased by coyotes, 12-minutes runs, team bonding, heart-felt change room speeches, smelly pinnies, yelling every second to check in and check out, funny e-mails from the coach, rookie nights, bus rides, athletic banquets, and most importantly, holding that championship trophy and knowing all that hard work you put in the entire semester has finally paid off. 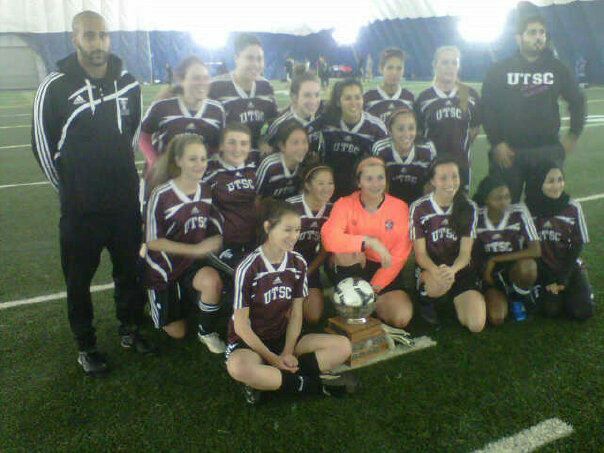 This team meant the world to me and I hope other athletes, like myself at UTSC, can be able to experience what it’s like to be part of a squad that is not only dedicated but fun to be around.. and I guess being champions isn’t too bad of a quality to have either. I’m sure going to miss it all.